Beautiful Custom Brick Ranch on 1.33 Acres! 5 Bedroom, 4.5 Bath - Extensive Landscaping & Flowering Gardens. One of a Kind European Pool Site offering Poolside Elegance. Extensive Stonescape finishings. Open Plan with Soaring 13 Foot Ceilings, Formal Living Rm/Formal Dining Rm, Chef's Kitchen, Spacious Keeping Room with Fireplace. Finished Lower Level with Stone Fireplace, Full Kitchen, Billiard, Game Rm plus 2 Bedrooms/Full Bath. 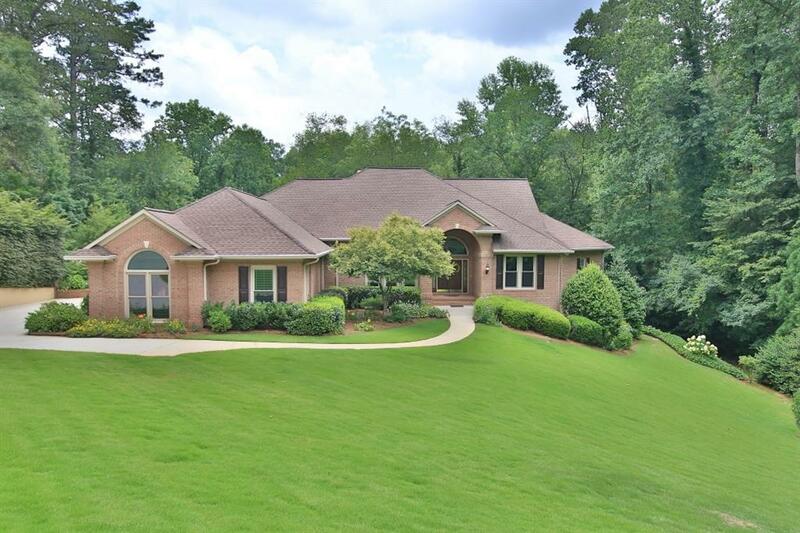 Private Wooded lot with Golf views of the Par Three Golf Course at Chateau Elan. Tons of Home Improvements! New HVAC, New Windows, New Kitchen Appliances & More! for more info and photos! Contact me for more information or to schedule a showing!